"Intelligence is the only natural resource we have"
Despite its sparse population and adverse conditions, Israel exhibits impressive scientific achievements and a bustling start-up scene. This is not only a result of large investments in research and development. Seldom do scientists go public with such unacademic methods. Aaron Ciechanover, Dan Shechtman, and Ada Yonath—all born between 1939 and 1947—rap. They promote their profession in a video from Israel's Ministry of Science & Technology with pictures from their laboratories and phrases like, "we are wherever there is life". At the end of the Nobel laureate rap, Minister Ofir Akunis throws his jacket over his shoulder and says, "To me, every scientist is Israel's next star." The protagonists are stars. All three have been awarded the Nobel Prize in Chemistry—Aaron Ciechanover in 2004, Ada Yonath in 2009, and Dan Shechtman in 2011. And all three conduct research at globally renowned institutions in Israel. Both men work at the Technion – Israel Institute of Technology in Haifa with 18 faculties, while Ada Yonath works at the Weizmann Institute of Science in Rehovot, where roughly 2,500 people conduct basic research. The sheer amount of research awards given to Israeli institutions sheds some light on the research accomplishments achieved in the small country with just 8.5 million inhabitants. Six Nobel Prizes in Chemistry and two in Economic Sciences have been awarded to laureates from Israel. Additionally, Israel has collected three Turing Awards—recognized as the Nobel Prize of computing—and one Fields Medal for outstanding contributions in mathematics. It is evident from one simple figure how seriously research is taken: 4.25 percent of Israel's GDP is channeled into research funding (OECD, 2015). This is the global peak tied with South Korea, while just 3 percent is dedicated to research in Germany. 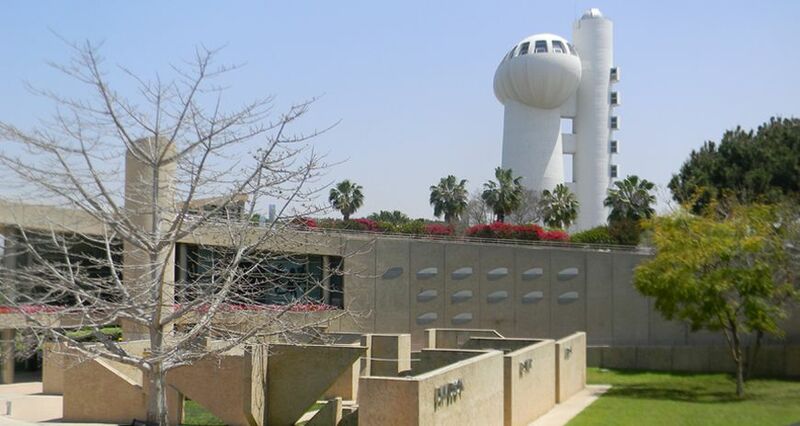 The bulk of the funds is granted to one of just six universities in the country and to the prestigious Weizmann Institute, which, as a research institute, is given university status. Just as impressive as the research achievements is the Israeli start-up scene. Nowhere else in the world is the density of start-ups higher than in the Tel Aviv area, where approximately 6,000 start-ups operate. Many of the businesses are in the technology sector. The German science community maintains close contact with Israel. This is partly attributed to the many political initiatives taken during the last few decades and also to the quality of Israeli science. "In the context of our international collaboration, the German-Israeli partnership is very important," says Ute Stotz, Program Officer for the International Affairs Group of the Deutsche Forschungsgemeinschaft (DFG). Specifically, the DFG screens applications for bilateral or trilateral research projects in which Palestinian and Jordanian partners participate alongside researchers from Germany and Israel. The Helmholtz Association is also active in Israel. This week, it will jointly inaugurate its first laboratory on a foreign partner's campus with the Weizmann Institute in Rehovot (see box). The new institute is expected to herald a new era in laser particle acceleration. The role that technology and research play in Israel can be explained at least in part by its geographic location. A nation consisting predominantly of deserts, with little water, could not conceivably support its population on agriculture, thus lacking the basis to undergo industrialization, for example, based on the German model. As the first President of Israel, Chaim Weizmann, said, "Intelligence is the only natural resource we have." That held true all the more—and still does today—as so many of Israel's immigrants have invariably held university or doctoral degrees. From the scientific elite persecuted during German National Socialism to the hundreds of thousands of Russian Jews in the 1990s, amongst which were 50,000 engineers, 13,000 doctors, and 10,000 scientists, according to estimates from the Israeli Ministry of Immigrant Absorption. Israel can rely on a widely educated population. Virtually one out of every two 25 to 65-year-olds has attained a tertiary level of education, or 49 percent, while in Germany this figure amounts to 28 percent (OECD, 2015). Students can choose to attend one out of 35 colleges. Those wishing to become a teacher can attend one out of 21 teacher training colleges. Students may also enroll in one of the six on-campus universities or the Weizmann Institute. There are approximately 130,000 students enrolled at the colleges and teacher training colleges, roughly the same amount as at the universities. Additionally, there are some 50,000 distance learning students at the Open University. Tuition is generally around 3,000 euros per year for public universities, and only universities have the right to award doctorates in Israel. The country also invests significantly more in education than in Germany, with 6.5% of its GDP compared to Germany’s 5.4%. Israel's universities are repeatedly involved in launching spin-off start-ups. Even the German University-Based Business Start-Up EXIST Program, financed by the German Federal Ministry for Economic Affairs and Energy, has taken notice of creative Israelis. Since 2015, EXIST Start-up Germany has specifically recruited graduates from Israeli universities. Lisa Breford is the Project Manager based at the Technical University of Berlin. She believes—as well as the authors of the pertinent Bestseller Start-up Nation Israel*—that a whole range of factors lies behind the country’s entrepreneurial spirit, from flat hierarchies and informal structures to a different kind of failure culture. "To simply say 'Come on, let's just do it', is more common practice than in Germany," says Breford, "and that makes implementing ideas more probable. And when it doesn't work out, the response is much more often than here in Germany: 'Alright, we'll just try something else'." Even the two to three-year mandatory military service evidently fosters the entrepreneurial spirit in some. "The unit a person was in appears on every application," notes Breford, "whoever has skills will gain experience in cyber technologies, for example, during their service. That plays a large role in the start-up scene." One of the first EXIST scholarship recipients, Ran Oren, who came to the business incubator at Humboldt University Berlin in 2016, has another theory as to why the start-up culture in Israel is so pronounced: "We know uncertain conditions. We live in them." The Helmholtz Association, too, maintains close contact with Israel. This week, a new research laboratory designed to bridge basic research with applied research was inaugurated in the Israeli city of Rehovot: the Weizmann-Helmholtz Laboratory for Laser Matter Interaction (WHELMI). This joint project between the Helmholtz-Zentrum Dresden-Rossendorf (HZDR) and Israel's Weizmann Institute of Science aims to develop high-performance lasers. The extremely powerful light sources make it possible to observe ultra-fast chemical or biological processes. This will significantly contribute to the understanding of these processes. Another advantage of the new laser technology is the significant reduction in size of facilities used, for example, in radiation therapy for the treatment of tumors. WHELMI is the first laboratory that the Helmholtz Association has opened on a foreign partner's campus. "With WHELMI, we provide a model for long-term collaboration between the Helmholtz Association and an outstanding international partner," says Otmar D. Wiestler, President of the Helmholtz Association. "I am convinced that we will achieve considerable progress in laser research, as well as in adjacent scientific branches like cancer research, by combining our specific strengths." Thus, Germany's largest research organization plans to support the project over the next five years with 1.25 million euros from its Initiative and Networking Funds. The HZDR will contribute an equal sum, and the Weizmann Institute will finance an additional 2.5 million euros for the joint laboratory. "The language of science knows no borders"
The first large-scale particle accelerator in the Middle East has been assembled in Jordan. Researchers from Israel, Iran, and the Palestinian territories work together there. We spoke to Rolf Heuer, former General Director of CERN and chairman of the project’s supervisory board. The Helmholtz Association has opened a new international office in Tel Aviv. With this step, Germany’s largest research organization is seeking to take its cooperation with Israeli researchers and start-ups to a new level. The business practices of 'predatory publishers' drew a great deal of attention in the media. We asked seven young Helmholtz researchers about their ideas on how to cope with these issues. The European Commission has presented its proposal for the next EU Framework Programme for Research and Innovation titled "Horizon Europe". The objective of the program is to ensure Europe’s competitiveness and innovative strength from 2021 to 2027. A commentary from the Helmholtz office in Brussels. The German Cancer Consortium (DKTK) is considered a model of success. Since 2012, leading researchers have been working together to bring promising research results to patients as quickly as possible. In Brussels, scientists and politicians will discuss whether this model can be applied at the European level.